CNBC reports Ted Weschler, who paid $5.3 Million to have two meals with Warren Buffett, has just been hired to help manage the portfolio of Berkshire Hathaway. Weschler is the founder and Managing Partner of Peninsula Capital Advisors, LLC based in Charlottesville, Virginia. He is a B.S. in Economics with concentrations in finance and accounting of The Wharton School at the University of Pennsylvania. Berkshire says Weschler will join the company as a portfolio manager in the beginning of next year, and manage part of the equity investment of the company with Todd Combs, who was hired last year. However, as the CEO of Berkshire, Warren Buffett will still be responsible for managing most of the fund before he retires. 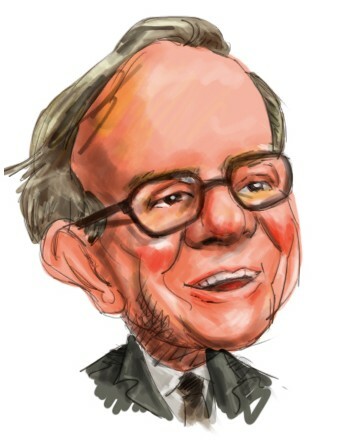 According to Carol Loomis of “Fortune”, Ted Weschler caught Buffett’s attention by successfully winning the bid of “Buffett’s Lunch” on eBay and having meals with Buffett, which became his most rewarding investment as a hedge fund manager. Like Buffett, Weschler prefers to buy just a few stocks for long periods of time, though the new hire is not likely to be able to short stocks and borrow money to increase his investing capital. Most stocks held by Weschler’s Peninsula Capital Advisors are middle cap stocks and the hedge fund holds many media companies’ stocks. Berkshire said that it would possibly add one more fund manager to take responsibility for the entire equity and debt portfolio of the firm, which is currently managed by Buffett. There is also another secret plan about the successor to Buffett as the CEO, which will be released at proper time. Best Stock Picking Hedge Funds in August Are These Hedge Funds Behind Yesterday’s Market Crash? 25 Best Performing Hedge Funds in This Market Turmoil Warren Buffett Just Made $200 Million This Morning Warren Buffett: Higher Taxes Don’t Reduce Economic Output Is Todd Combs Smarter Than Warren Buffett?